Attacks on prison staff are at their highest level for at least a decade amid soaring levels of violence in jails, new figures reveal. 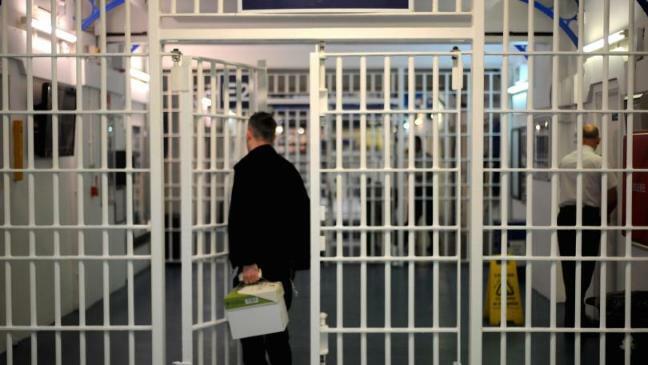 In the year to September inmates carried out 4,568 assaults on officers, a rise of 30% compared to the previous 12 months, according to the Ministry of Justice. Serious assaults against prison staff have more than doubled since 2012, reaching 595 in the most recent period. The figures reflect a rising tide of violence behind bars. :: In the year to September 2015 there were a total of 18,874 assault incidents – an annual jump of almost a fifth – including 14,247 prisoner-on-prisoner assaults. :: There were 2,606 serious assaults, up 30% on the same period in 2014.
:: There were a record 257 deaths in custody in 2015, including eight homicides – more than in any other year since records started in 1978. Some 89 of the deaths were thought to be self-inflicted and 146 from natural causes. :: Reported incidents of self-harm were up by nearly a quarter (24%) to reach 30,706 in the year to September, with around one in 10 prisoners now self-harming. The availability of so-called “legal highs” has been identified as a key factor in the surge of violent incidents behind bars. A report by the prisons watchdog last year concluded that new psychoactive substances are now the most serious threat to the safety and security of jails. Prisons Minister Andrew Selous said: “These figures illustrate the problems facing the Prison Service. Reform is badly needed. “Tackling violence and drugs must be our first priority. “That is why we are introducing new measures like better detection so we can help ensure prisons become places of decency, hope and rehabilitation. “We are also investing £1.3 billion over the next five years to transform the prison estate. Shadow justice secretary Lord Falconer accused the Government of being “in denial about the crisis in our prisons”. He said: “It’s shameful and utterly unacceptable that prison staff should have to face this level of threat in the workplace.